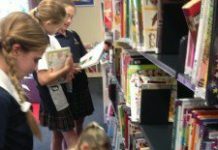 Throughout this blog I have referred to many books which give ideas on how to incorporate a Makerspace within a school environment. 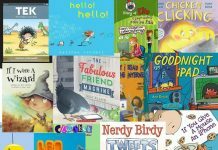 I thought it was about time to update and suggest old and new titles which have some great ideas and reasons why ‘making’ is so important for our children. Megan and I used Gary Stagers & Sylvia Martinez book ‘Invent to Learn’ as our bible as we started our journey. 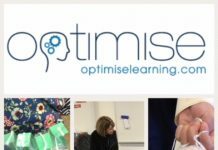 This link will take you to a number of books and resources Megan and I have used. 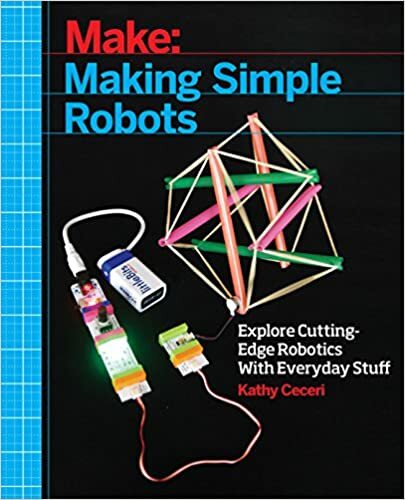 This book helps educators bring the exciting opportunities of the maker movement to every classroom or home. 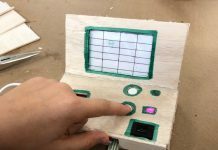 It is full of ideas and reasons why making is a natural fit for children who are innately tinkerers. 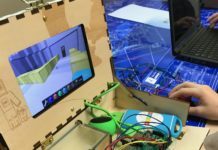 It explores and explains the Maker Movement and how all the new technologies available can be incorporated into learning. 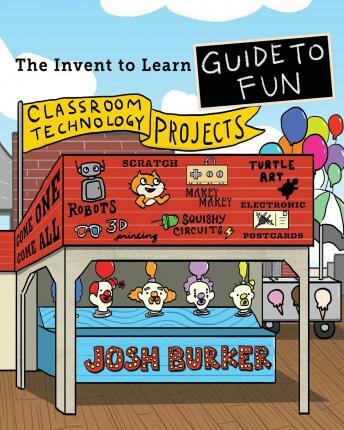 The Invent To Learn Guide to Fun features an assortment of insanely clever classroom-tested maker projects learners of all ages will love. Josh Burker excites learning-by-making with step-by-step instructions, full-colour photos, open-ended challenges, and sample code. 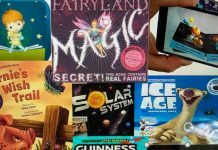 With The Invent To Learn Guide to Fun in hand, kids, parents, and teachers are invited to embark on an exciting and fun learning adventure! A book by a kid for kids of all ages! Super-Awesome Sylvia is a kid who loves making, tinkering, and art. 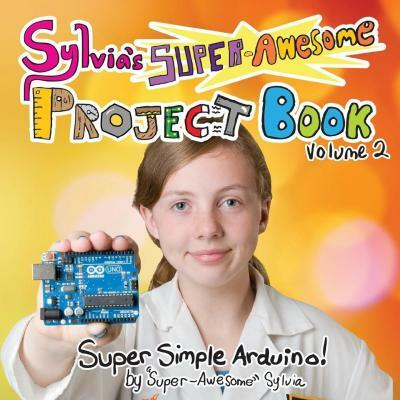 Her Web video series, Super-Awesome Sylvia’s Super-Awesome Maker Show, has millions of views. 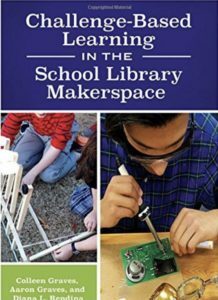 This book explains how to transform school libraries—always considered a destination for thinking and learning—to also be the place of doing, creating, and producing. Although it says Grade 6 -12 there are ideas which can be adapted to younger students. 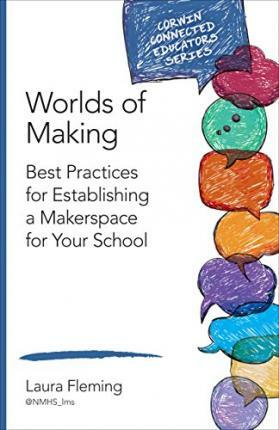 This is a wonderful short but powerful book about the’how and why’ of getting a Makerspace into your school community. I have given this to a few interested people. 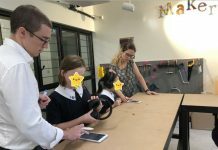 It’s practical with examples and strategies for creating space where learning is placed into the hands of the students. 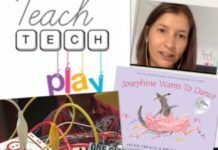 Laura has also created online professional development courses for creating Makerspaces. 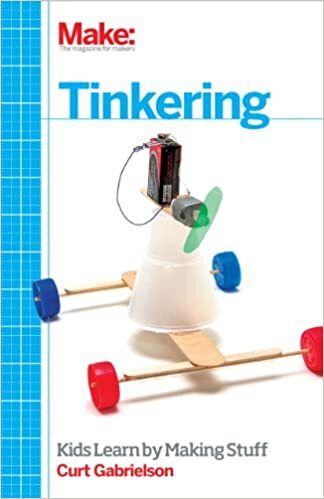 In this book the author shares tinkering techniques in key science areas, how to let kids learn science with hands-on tinkering, engaging techniques for science learning at home, in school, or at a makerspace or library, step-by-step instructions for activities that don’t end with a single project, but that provide many paths for “tinkering forward”. There are also other books by Make Magazine, which was conceptualised by Dale Dougherty, one of my ‘favourite’ people! 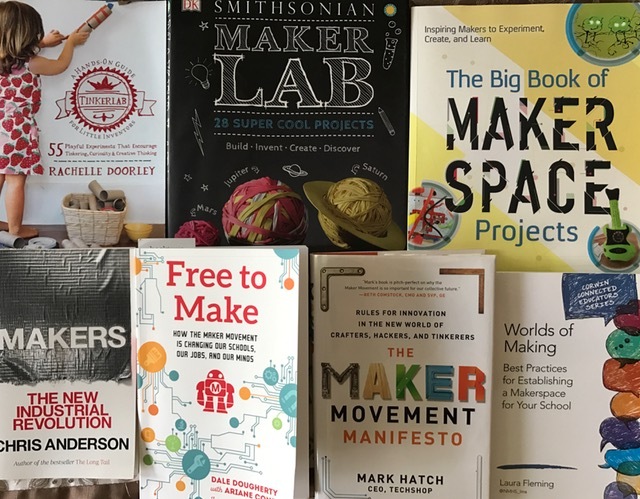 Free to Make by Dale Dougherty is a guided tour of the international phenomenon known as the Maker Movement, a social revolution that is changing what gets made, how it’s made, where it’s made, and who makes it. I really enjoyed reading this book and of course it’s by the amazing visionary Dale Dougherty! 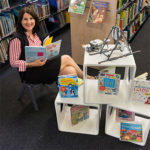 The Big Book of Makerspace Projects by Colleen Graves and Aaron Graves is a must for all Makerspaces…it’s full of manageable projects for upper primary and lower secondary aged children. Each project features clear, non-technical step-by-step instructions with photos and illustrations to ensure success, expand the imagination, and foster innovation. 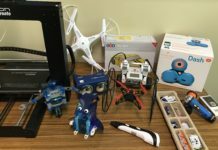 Children can explore recyclables hacks, smartphone tweaks, paper and sewing circuits, e-textiles, musical instruments, coding and programming, 3-D printing, and much, much more! 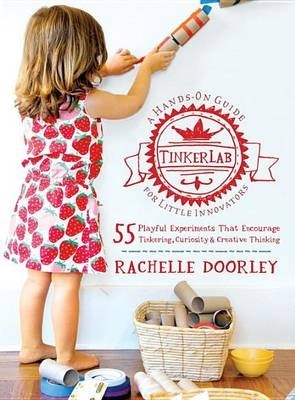 Tinkerlab for Little Inventors by Rachelle Doorley is a fabulous book which has heaps of playful experiments which foster curiosity, tinkering and creative thinking. 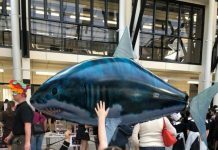 Its wonderful for activities that parents and teachers can put to use right away, and it also includes a buffet of recipes (magic potions, different kinds of play dough, silly putty, and homemade butter) and a detailed list of materials. 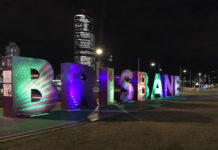 Click here for Rachelle’s great list of resources, although it’s American there are ideas and materials which can be found here in Australia. This book includes 28 kid-safe projects and crafts that will get young inventors’ wheels turning and make science pure fun. 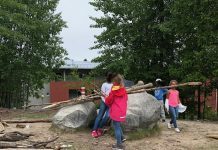 Each step-by-step activity is appropriate for children ages 8–12, and ranked easy, medium, or hard, with an estimated time frame for completion. 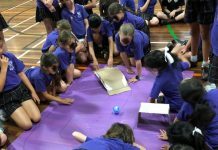 Requiring only household materials, young makers can build an exploding volcano, race balloon rocket cars, construct a solar system, make a lemon battery, and more. 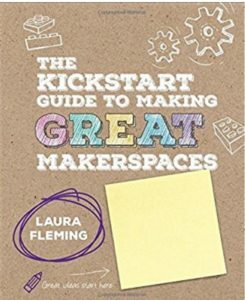 Laura Fleming’s latest book is full of why’s and how’s of a ‘Great’ Makerspace. 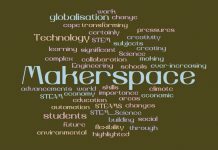 Plenty to inspire and answer questions on setting up a Makerspace. Full of step-by-step practical ideas. 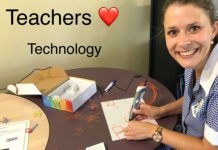 Laura is one of the pioneers in bringing Makerspaces into the school learning environment. This book guides you along the journey of designing challenges for student learning, adding curriculum connections to library programming and achieving more productive collaboration. 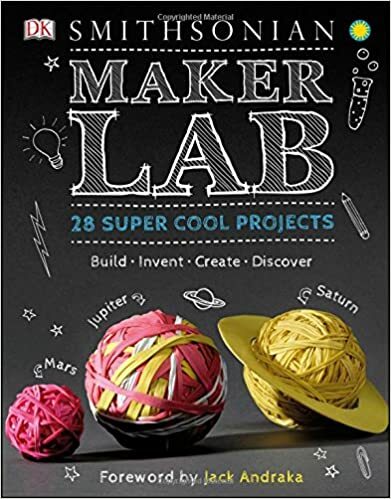 As Colleen as written on her blog…’This thorough resource covers everything from getting started, building a maker culture and setting up the physical space of your makerspace to organizing global collaborations, partnering with maker experts and documenting learning with maker journals’. 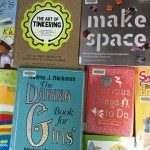 There are many many books on a huge range of topics which can inspire making and be used in a Makerspace. 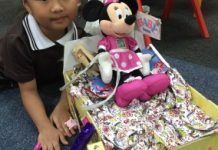 This particular one provides ideas and activities to stimulate thinking and can be used as a starting point. 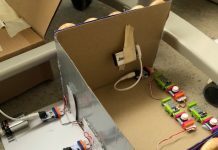 Readers will find out how to build robots using household objects such as scrub brushes and cardboard boxes. How the earliest robots were created, how robots have improved our lives, and much more. 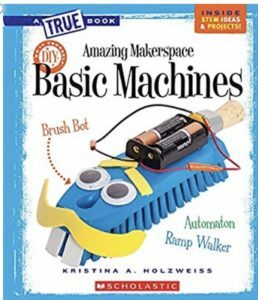 Like the previous book this specialised title allows students to delve into projects with electronics. 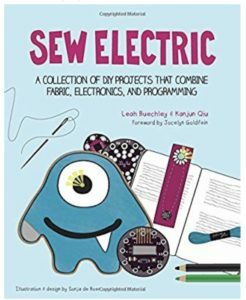 This book takes readers through the process of designing and making a series of customizable projects including a sparkiling braclet, a glow in the dark bookmark, a fabric piano and a monster that sings! Makers by Chris Anderson and The Maker Movement Manifesto by Mark Hatch are two books which will enlighten and demonstrate how the ‘Makers’ of today are the next great inventors and innovators who will help drive the next big wave in the global economy! Both books are well worth reading. 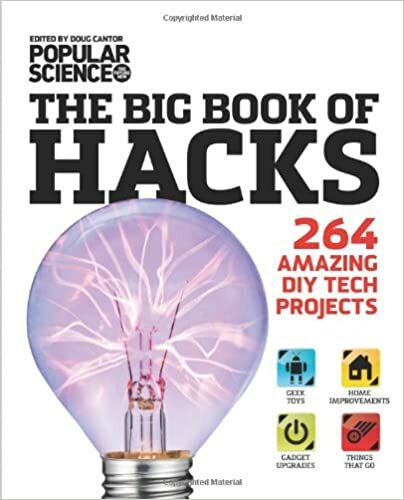 There are many, many more wonderful books available supporting ‘Making and Creating’ for children…..I will just finish with a book my very supportive husband bought for me last Christmas ‘The Big Book of Hacks‘ it has some very challenging DIY projects….to keep me busy!! !